Roasted or grilled salmon is one of those meals that is both easy, quick and full of good healthy fats and protein. 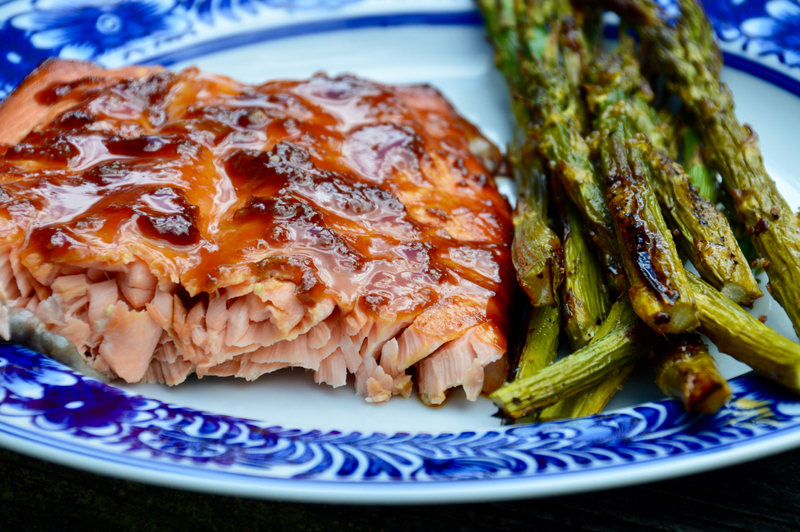 This honey teriyaki salmon is a delicious, quick meal that you can put together on a busy night, or even make ahead and reheat the next day. The leftovers are great as well served cold on a salad! Store-bought sauces can be filled with ingredients that you just don't want in your foods. Asian style sauces in particular are usually very high in salt and sugar content. Years ago on my quest for health, I started making my own sauces rather than buying them, and I've never looked back! I do have some bottles in my cabinet for nights when I'm feeling a bit lazy, but I'm very diligent on checking labels and only buying the best. For this honey teriyaki sauce, it's just a few simple ingredients. If you've never heard of mirin, it is a cooking wine seen in many asian recipes that has a sweeter taste. I like to use mirin in a sauce like this to cut down on the amount of sugar going in to the sauce. A lot of homemade teriyaki sauces call for brown sugar, and lot's of it. Not to mention if you go the pineapple juice route with your teriyaki, then the sugar will just keep adding up. As delicious as all that sugar sounds, this honey teriyaki sauce is considered to be more on the "healthy" side. It still has it's sugar, but that comes naturally from organic honey and a touch of mirin. 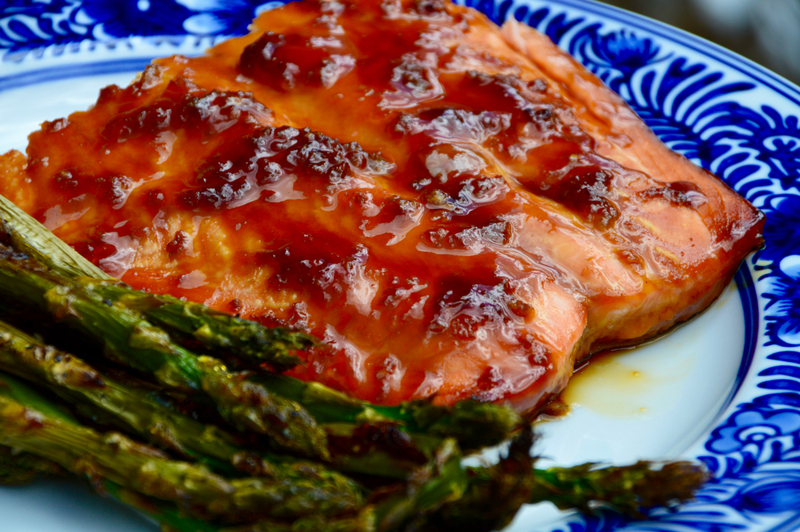 The sauce is brought together in a saucepan, slowly boiled for a moment then poured over the salmon filet and roasted at a high heat for a short amount of time. You could also easily grill this as well! I love to add a bit more sauce at the end or drizzle that extra sauce over some rice or roasted asparagus! 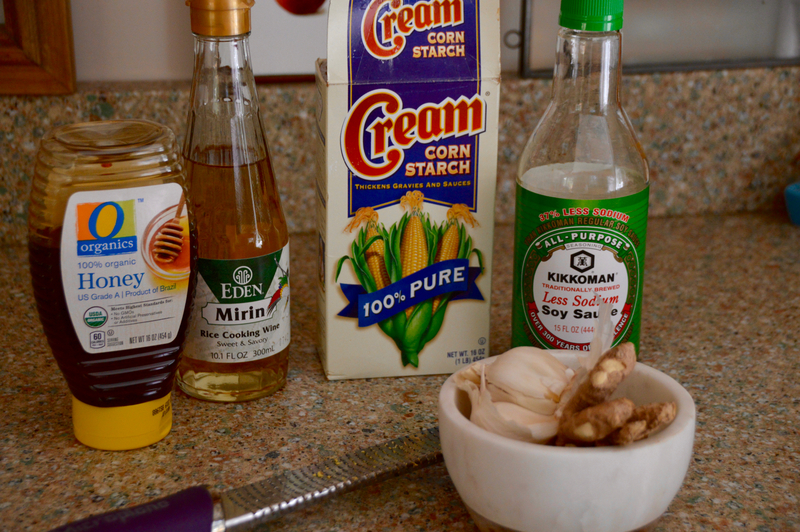 Combine the soy sauce, mirin, honey, garlic, and ginger in a small saucepan with ¼ cup water. Bring to a low boil. Mix the cornstarch with the 2 TBS water and add it to the pot. Low boil for 1 minute and turn off the heat. Make sure to continue stirring so the sauce doesn't start to burn. Add sesame seeds if desired. 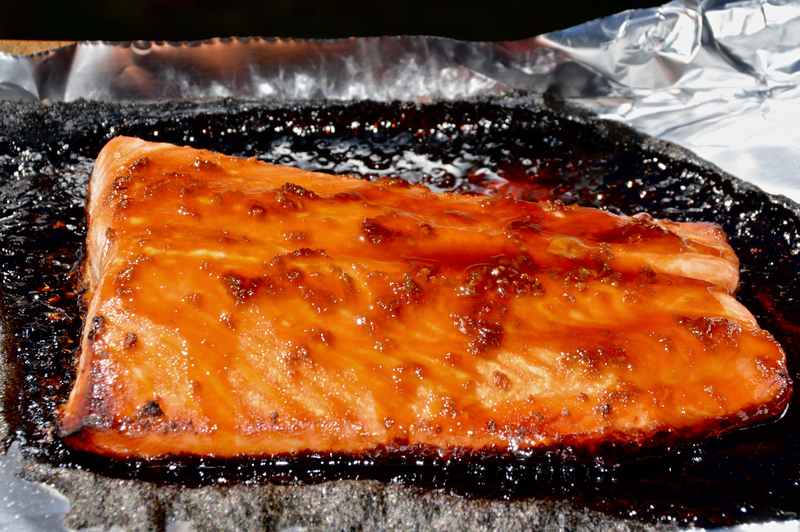 Pour half the sauce over the salmon, then bake for 10 minutes. Pour ¼ more of the sauce over the salmon again and cook another 5-10 minutes, or until salmon is cooked through. 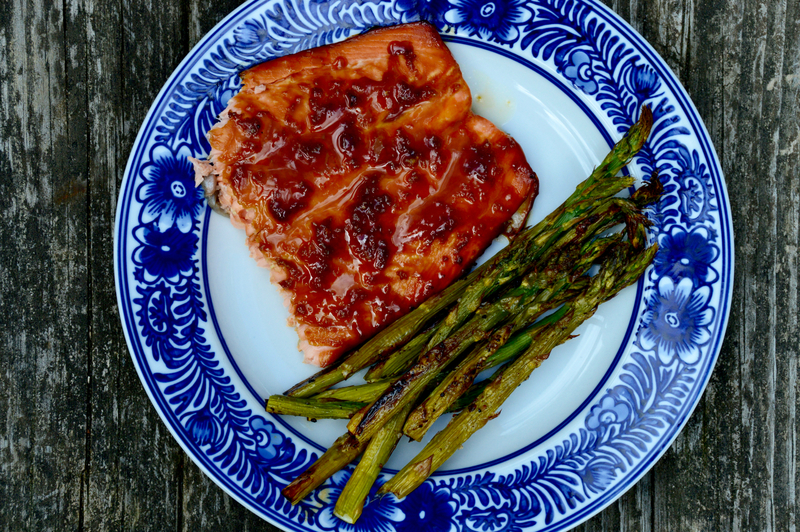 Serve with roasted asparagus or your favorite vegetables and drizzle remaining sauce over fish if desired.